The Williams Bomber Blue Bit cheekpiece allows for multiple rein positions. If connected to the main ring, the bit acts as a loose ring. When connected to the bottom ring it promotes pole flexion by creating more positive poll pressure. Additionally, The Williams cheekpiece helps to prevent drifting. 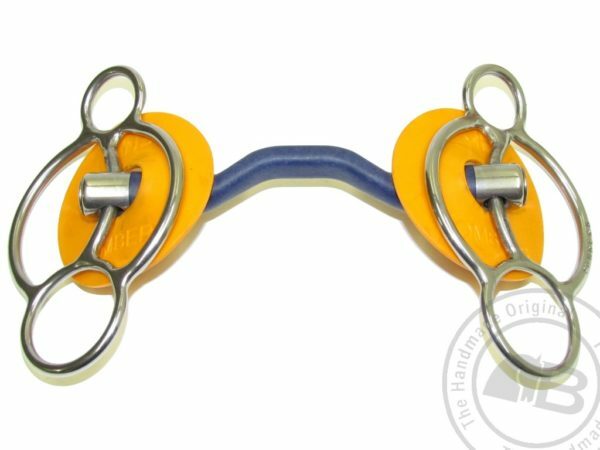 The Bomber Blue is a unique bit which produces amazing results for the majority of horses. Ported mouthpiece for improved tongue relief. The material used allows the bit to remain light and it encourages salivation. 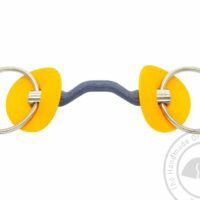 It is particularly well suited to horses that object to metal mouth pieces.